Inish Pharmacy are delighted to sponsor the publication of this book - €1 of each sale goes towards The Friends of Letterkenny General Hospital. Everyone knows Santa Claus comes once a year to leave gifts for all the good boys and girls. He has the best job in the world! But how did Santa come to do his very special job? 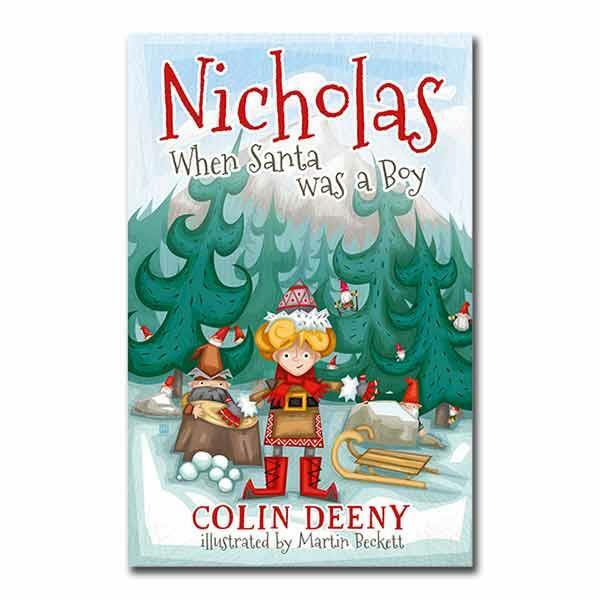 This is the story of a little boy called Nicholas who lived on a mountain near the North Pole. Long before he met Rudolf or had a long, white beard, Nicholas made friends with some very mischievous elves. Together they learned how to make shiny new toys, slide down chimneys and drive a sleigh over the snow-covered mountains. Join Nicholas and the elves as they go on their first Christmas adventure and make some children very, very happy. €1 of each sale goes towards The Friends of Letterkenny General Hospital - a voluntary charity that was founded in 1992 to raise money for Letterkenny University Hospital.